Water testing from RainSoft is the first step in getting clearer, better tasting water for your Nashville, Tennessee home. If you’re tired of murky, strong-smelling, or metallic tasting water (not to mention stubborn water stains on your glassware and shower surfaces), we can help. Depending on where your water comes from, it can contain a number of undesirable elements. For instance, consider the water that many Nashville homeowners receive from Metro Water Services. It’s safe to drink (the utility company processes it in their own treatment facilities), yet it can still have issues that some people consider undesirable. 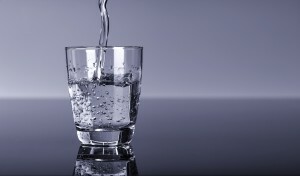 For example, some homeowners report a sulfur odor in their tap water, while others find it to be full of hard minerals. That’s where our water testing services come in handy. Once we have pinpointed the issues that need to be addressed based on your water testing results, we can suggest a custom treatment option. RainSoft offers a full range of problem solving home water filters, drinking water systems, and water conditioners. Your authorized RainSoft dealer can suggest a solution that best meets your family’s needs. We’ve been taking the worry out of water since 1953. No matter what chemicals or minerals you’d like to filter out of your water, we have the expertise necessary to find the right solution. We’ll install every piece of RainSoft equipment for you, will show you how to use it, and back each investment with a Limited Lifetime Warranty. Ready to schedule a complimentary in-home water testing appointment? Call us today to connect with our Nashville, TN water quality experts.